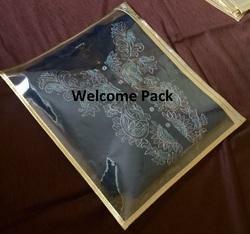 Prominent & Leading Manufacturer from Surat, we offer single saree cover, saree cover bag, large saree cover bag, single saree cover bag, saree cover bags and transparent saree cover bag. 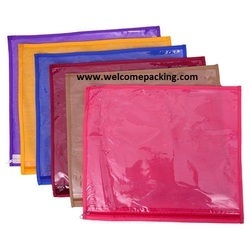 For the purpose of providing the finest Saree Cover PVC Bag to our clients, we engage in using the finest raw materials and modern machines in its manufacture. Owing to this, the offered product is known for superior strength, high durability, an impeccable finish and unmatched load bearing capacity. Further, for reasons of quality maintenance, the offered range is manufactured in accordance with the industry set norms and guidelines. 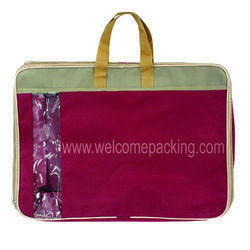 is Made from Heavy Duty Canvas Material. Now Declutter your Wardrobe with this Saree Storage Organizer and Store your Expensive Fancy Sarees in one Convenient Place. 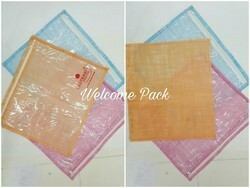 DESIGN: These Covers for Saree has 1 Top Transparent Window for Easy Viewing of the Contents Inside. 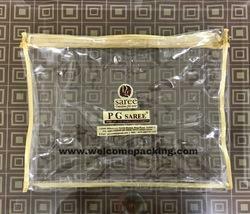 Sareee Cover Bags with Zip Protects against Dust, Pest, Water damage, and Smell and is Easy to Open and Close. TRAVEL FRIENDLY & FOLDABLE: Saree Covers Set are LightWeight and Portable, easily Move to Shelves, Closets, Wardrobe etc-Quickly Pack/Unpack between Seasons, Traveling, Moving, or as Needed. Fold Away or Collapse Flat Under Bed or in Drawers When Not in Use. INSTANT ORGANIZATION - Best Of All Though, these Saree Bags for Wardrobe are Easy to Stack In The Bottom Of Your Closet, which Makes Organization in A Small Closet much Easier. 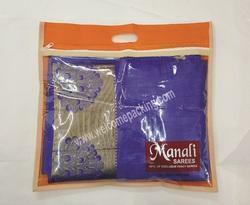 Package Contains 1 Large Saree Cover. Size: 57 x 19 x 42 cm. We are actively engaged in offering a qualitative range of Single Saree Cover for catering the diversified requirements of our clients. 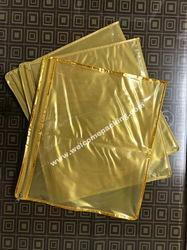 A designer Golden Pvc single Saree Packing Bag. 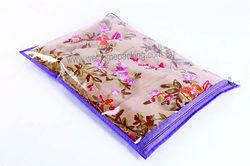 Being a leading firm in this industry, we are deeply engaged in offering a wide range of Saree Cover.